Villa Retreat is situated in a very serene and inspiring renewed place next to Višnjan, only several kilometers from the city Poreč, famous touristic destination on Istra’s west coast. 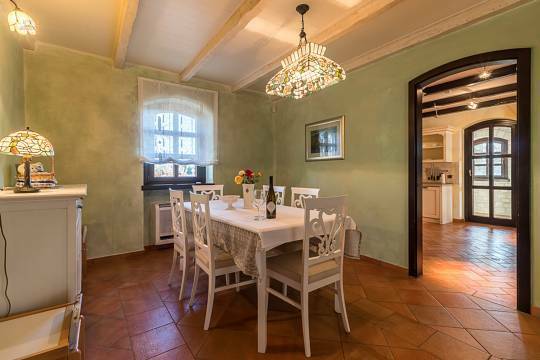 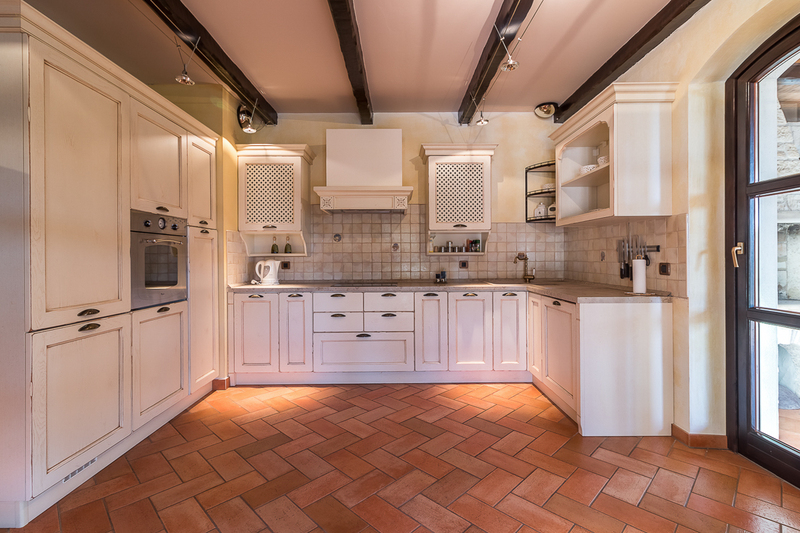 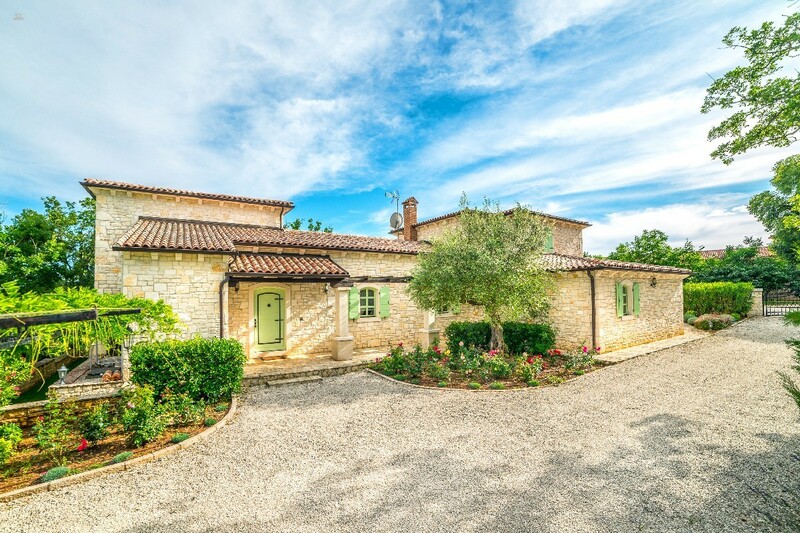 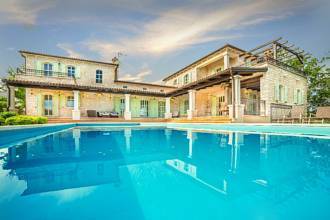 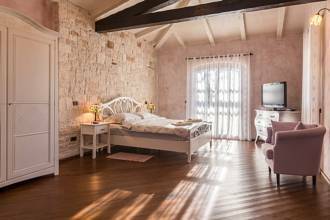 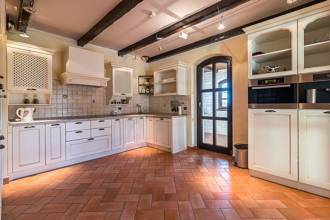 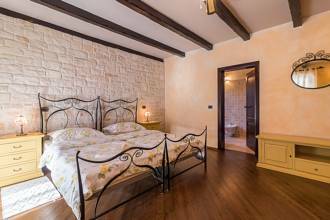 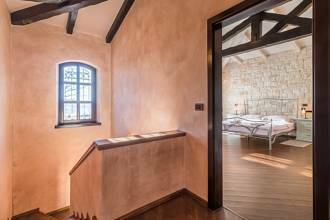 Villa Retreat is built in traditional style of an Istrian hacienda, with stone, wood, glass and iron as prevailing building elements and is harmoniously decorated in shabby chic style. 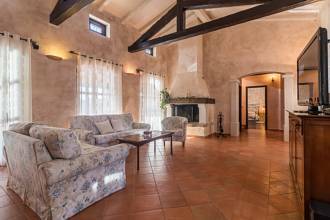 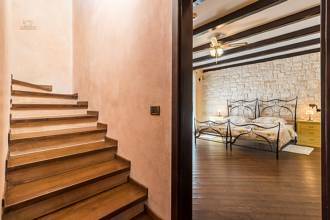 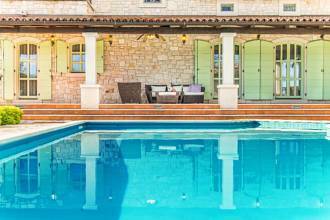 Very spacious and light villa which gives the impression of the large Istrian country house. 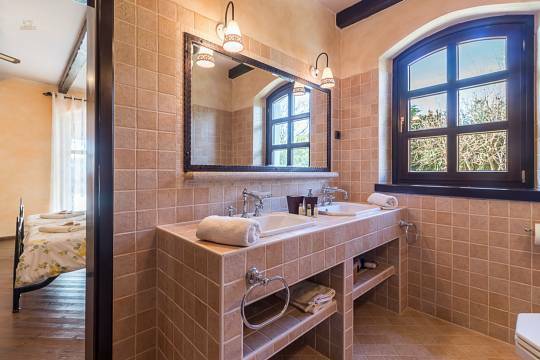 With its pebbles parking space and access road, it swimming pool and carefully planned surrounding areas, Villa Retreat is arranged in such way to offer all year pleasures stay, and hundred years old oak trees and olive oil fulfill complete Mediterranean atmosphere. 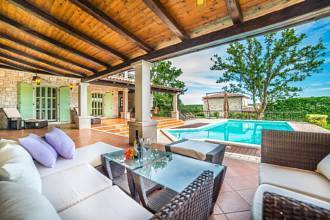 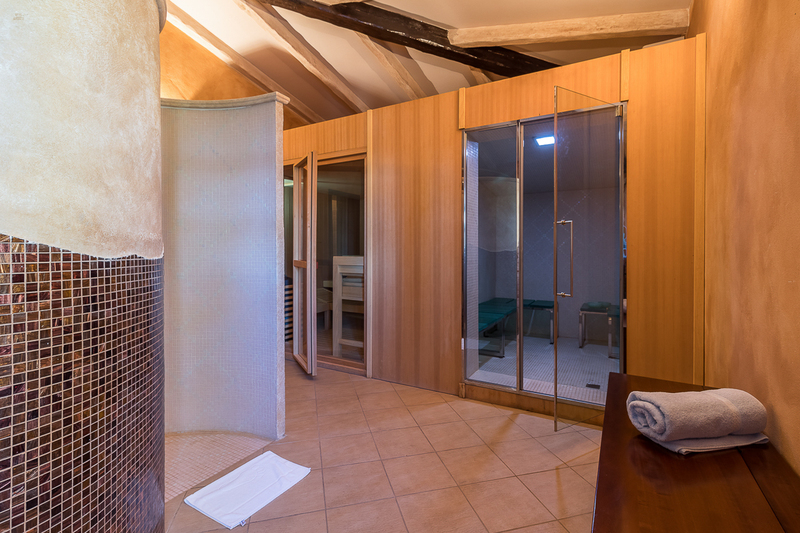 Villa Retreat is arranged in such way that the ground floor is intended for complete daily life and relaxing with sauna and bathroom area on the ground floor, following all additional living areas which have an exit on the garden, lounge zone, swimming pool and grill zone. 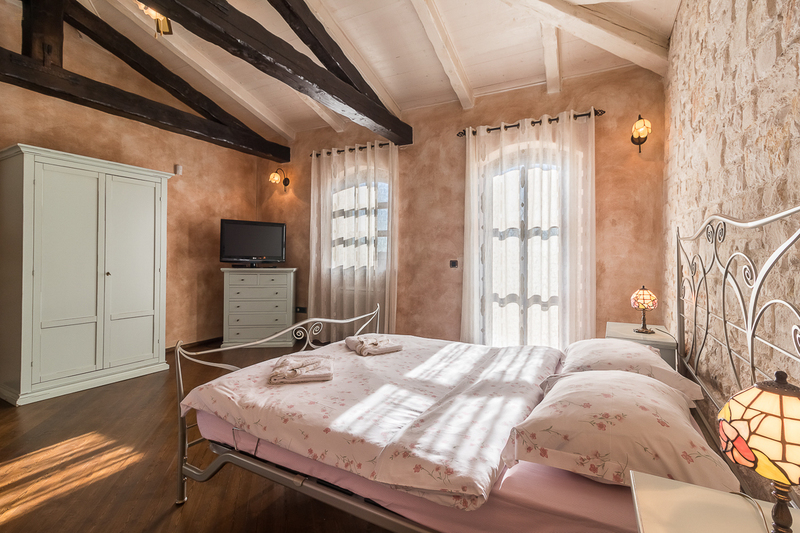 In the right wing there are two bedrooms with their own bathrooms and also in the left wing of the first floor, there is a spacious master bedroom with bathroom and exit on the terrace with the sea view. 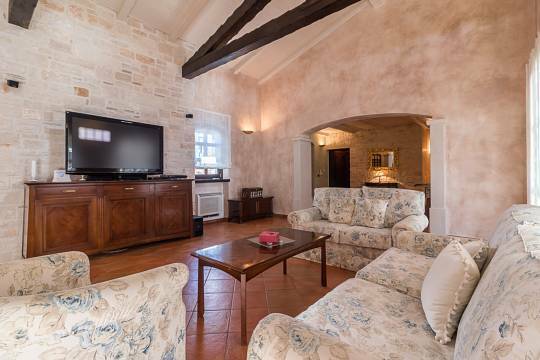 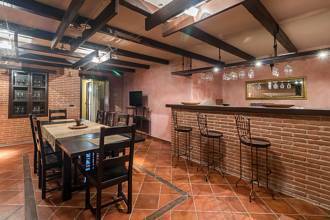 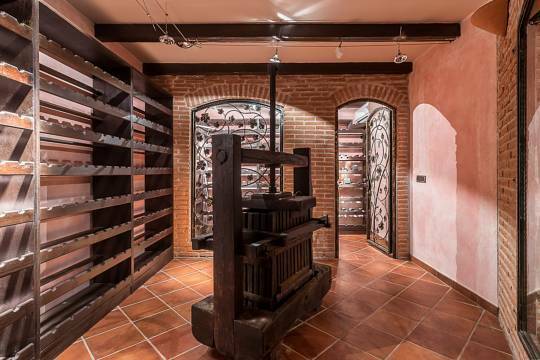 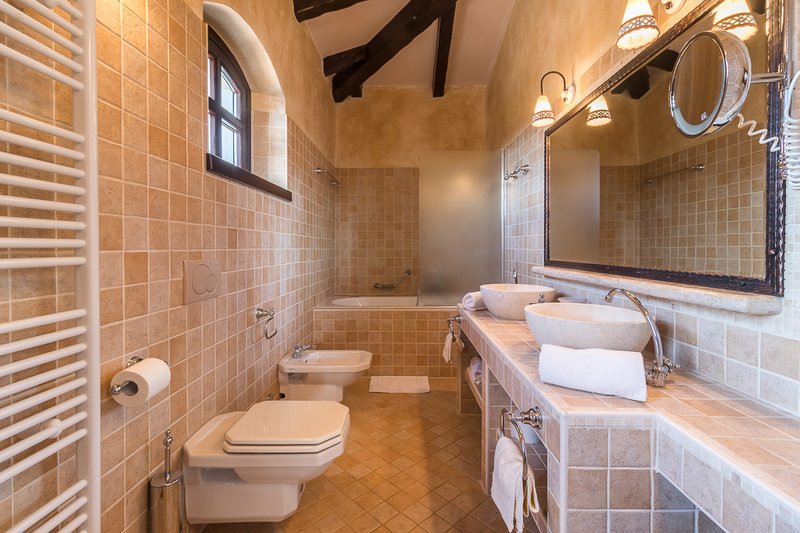 Villa Retreat additionally has elegantly designed and spacious tavern with its private wine cellar, where the central detail is original historic one hundred years old winepress. Completely equipped and furnished Villa Retreat is little heaven for all year round stay. Only several kilometers from Poreč and all touristic events, Villa Retreat is an inviting property for family stay but also a good future investment opportunity. 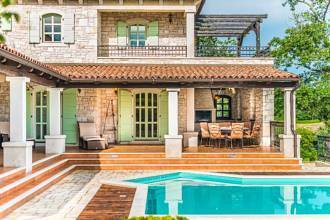 Villa Retreat is close to several airports in the region of Istria, Pula and Rijeka, as well as Trieste international airport. Location of Višnjan gives numerous possibilities for enjoying grand Istrian cuisine and wine. 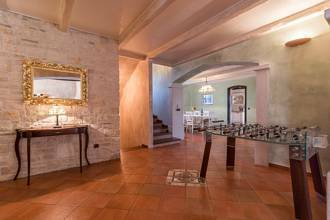 Porta Stella Luxury Real Estate d.o.o.